Diplopterys cabrerana, also called chaliponga or chagropanga, is a vine native to South America. The plant has oval leaves, bigger than those of Banisteriopsis caapi, though apart from this the two are rather similar. Diplopterys cabrerana grows wild in the Amazon basin, usually around riverbanks. The vine is also cultivated in Brazil, Colombia, Peru and Ecuador. In Ecuador chaliponga has yet another name: chacruna. 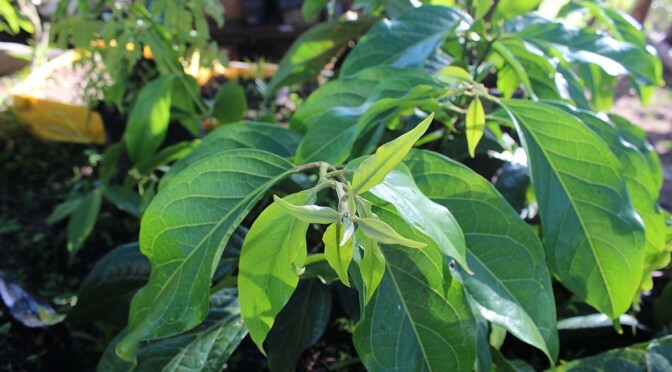 This name might cause some confusion, as the plant usually called chacruna is, in fact, Psychotria viridis. The two plants are connected, however. Both are traditional ingredients in a psychoactive brew popular in South America, the Ayahuasca. The main active ingredient in chaliponga is the tryptamine N,N-DMT. The plant also contains structural analogue 5-MeO-DMT and 5-HO-DMT (bufotenine), though in smaller concentrations. 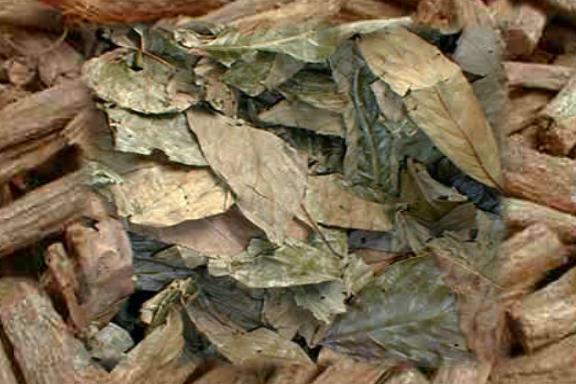 Plants containing DMT such as Diplopterys cabrerana may be smoked, but the effects are very mild to none. Also, DMT is, by itself, not active orally. Because of this, chaliponga is usually consumed in combination with a MAO inhibitor; traditionally Banisteriopsis caapi. 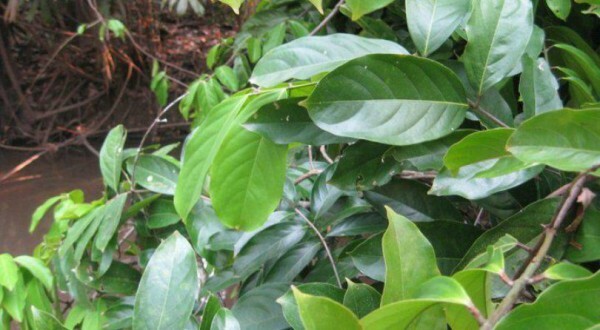 Though other similar substances may be used, these two plants are used to create ayahuasca (Diplopterys cabrerana is sometimes replaced with Psychotria viridis). Ayahuasca is traditionally one of the most popular psychoactive substances. Apart from its actual effects, such as hallucinations, ayahuasca is also believed to have spiritual effects. Diplopterys cabrerana is not a controlled plant in most countries, which means live plants and seeds may be bought and possessed legally. However, chaliponga contains DMT which is a controlled substance in most countries. Extraction and possession of DMT, especially large-scale, is illegal. There have also been reports of individuals prosecuted (in the US for example) for importing DMT-containing plants. The trials have not yet been resolved. This is not pure Diplopterys cabrerana, but premixed with Banisteriopsis caapi, a MAOI to enable the effects of chaliponga. Diplopterys cabrerana is, by itself, not active when taken orally. Because of this, it is prepared by adding a MAO inhibitor to enable the DMT content of chaliponga to exert its effects. However, the human gut contains monoamine-oxydase (MAO) which metabolises DMT before it could have any effect. MAO inhibitors prevent this from happening, contributing to the effects of the mix. Traditionally, chaliponga is mixed with ayahuasca vine, Banisteriopsis caapi to create a brew also called ayahuasca. This concoction has been used in rituals by the indigenous tribes of South America for hundreds of years. Ayahuasca comes from the Quechua words aya and waska, meaning vine of the spirit together. Ayahuasca was – and still is, in some regions – used in shamanistic rituals to commune with the spirits. Diplopterys cabriana has several cognitive and physical effects when taken in combination with a MAOI. The most sought-after of these are the visual effects. Consuming ayahuasca is considered to be a spiritual, transcendental experience. The onset of the effects of chaliponga takes about 20-60 minutes. Primary effects can last up to 6 hours, while after effects may be felt for weeks or even months after consumption. Ayahuasca is a psychoactive substance that alters the user’s thinking and view of themselves, as well as their environment. The mental state induced by the brew is reportedato be more clear-minded than with other, similar substances. Users report increased mindfulness and wakefulness dominated by abstract thinking and a feeling of oneness with the surrounding world. The DMT in chaliponga causes a sort of “ego-death”, disassociation from one’s self accompanied by short term memory loss. Chaliponga prepared as ayahuasca causes a wide array of visual sensations. Often accompanied by auditory effects as well, hallucinations can range from colourful geometric patterns to alien life forms. One of the reasons ayahuasca is consumed is its purging effect, said to rejuvenate both mind and body. However, this purging is not considered positive by all users, as it includes severe nausea, diarrhea and vomiting. Small visual cues may remain for up to 8 hours after the primary effects have passed. Pupils often remain dilated until the next day. Consumption of ayahuasca has been reported to result in an enhanced state of mind weeks or even months afterwards. Dreams may appear to be unusually vivid and lucid. Chaliponga has some side-effects that have already been mentioned. Consumption causes nausea, vomiting and diarrhea, though these effects are sometimes considered positive (see above). Diplopterys cabrerana does not cause physical addiction, though psychological addiction is always a possibility. Also, chaliponga is generally taken along with MAO inhibitors, which may have adverse effects when combined with certain foods and medications. Though ayahuasca has been consumed for several hundred years, the healing properties of Diplopterys cabrerana are relatively little-researched. There are several health benefits attributed to ayahuasca, though these are more of a spiritual nature than a medical one. Ayahuasca is believed to clear the user’s mind and body, enhancing thought processes. The healing properties of ayahuasca are strongly connected to the clairvoyance induced by the brew. In their visionary state, the shaman saw the root of all problems and illnesses. The recommended dosage of chaliponga is not set in stone, as relatively little research has been done regarding its effect in correlation with the amount consumed. For beginners, Psychotria viridis might be a better, safer alternative. In general, 5 grams of Diplopterys cabrerana is about the threshold amount for this substance. 10 grams is an average dosage, while anything above 15 grams is considered a heavy dose. The amount recorded in most recipes is 200 leaves. There are several simple recipes for preparing ayahuasca. However, experts have stated that achieving the desired effects is somewhat difficult, so don’t be discouraged if you don’t succeed at first. The traditional version of ayahuasca uses ayahuasca vine, Banisteriopsis caapi as a MAO inhibitor. 12 pieces of B. caapi are placed into a pot along with 200 chaliponga leaves. Boiling the concoction for about 12 hours results in 750 ml of ayahuasca “tea”. The two plants may also be prepared in separate pots. Make sure they are made of steel, not of aluminium or teflon. After filtering the tea is ready to be drunk. It is reported to taste rather foul, so having a chaser drink nearby can prove useful – though this does not prevent the purging. If Banisteriopsis caapi and Diplopterys cabrerana are prepared separately, they may still be consumed together. However, it is recommended to take the MAOI about 15 minutes before the chaliponga. “T+1:45 I started to experience strong visuals in the form of trails along with a strong sense of disorientation. I felt a sort of non-locality, as if my inner being was being swung around while my physical body remained monitionless. This sensation would intensify when I’d close my eyes. T+2:10 I was relieved to find that after minor vomiting my stomach was much relieved. When I flushed the toilet, the usually familiar sound it makes had turned into a mechanical vibrating noise. Running tap water also made a sound which I can only describe as alien to my normal perception. Diplopterys cabrerana is only one of the legal highs included in Simon’s legal high guide, check out the others as well. Last updated: 2015. 12. 08. A guide detailing the properties, effects and legal status of chaliponga, including experience reports. That was supposed to say “separately packaged. Autocorrect….